Robyn Vilate: Will you be my Valentine? Love this look! It is so elegant and simple but beautiful! 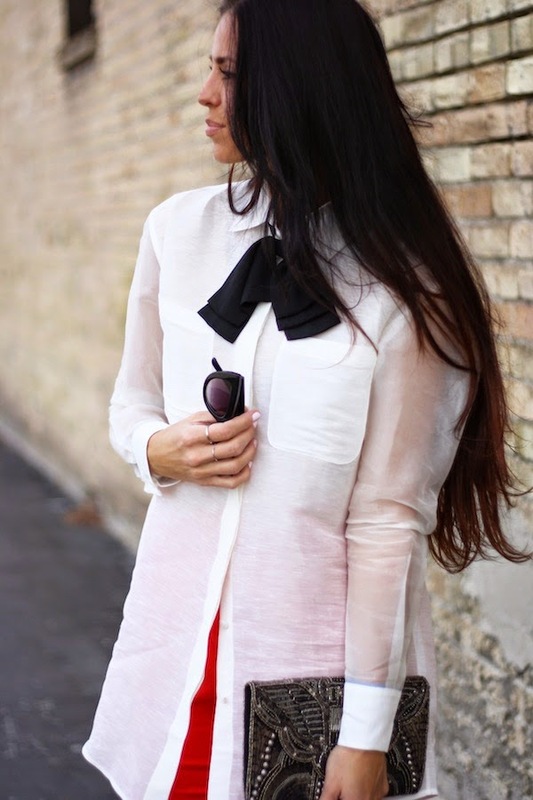 I am loving the oversized button up these days! I can't get enough of it! I love that blouse! 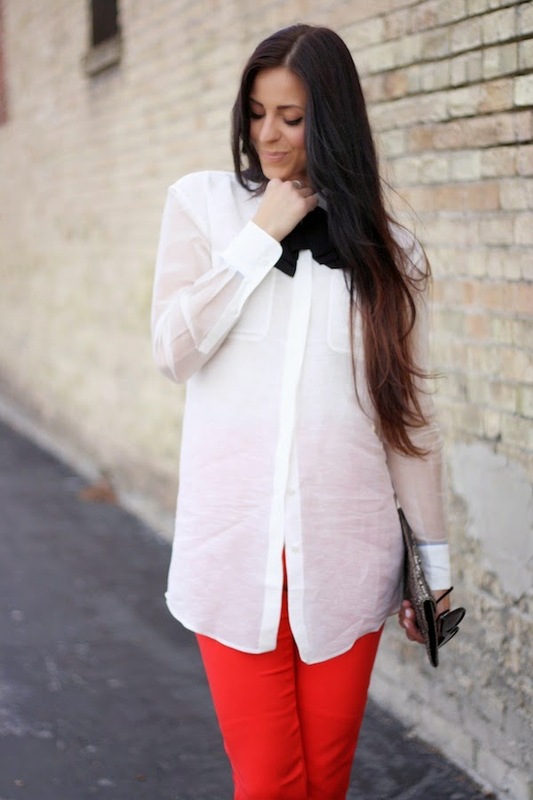 The bow is so fun and looks perfect with the red pants! I love how you unbuttoned the shirt a little at the bottom. It's a nice touch! This is such a cool look for the holiday! Love. Those shoes are to die for! 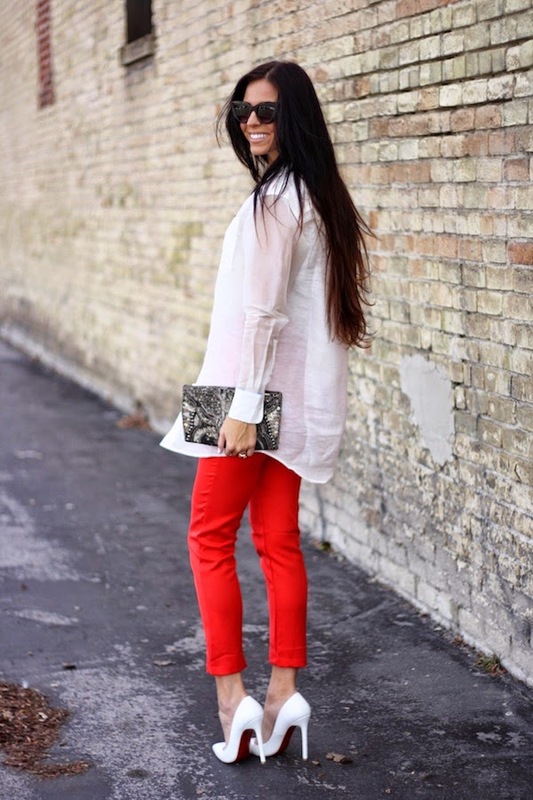 Love how you styled those red trousers! This is one of my faves! Wish I could pull it together in time for tomorrow :) Might have to be a future date night! Although they have been hard to plan because we just want to hang with our baby girl!! !